Mário Feliciano’s Flama is an unornamented sans serif initially designed for signage which mixes aspects of European and American sans serifs. 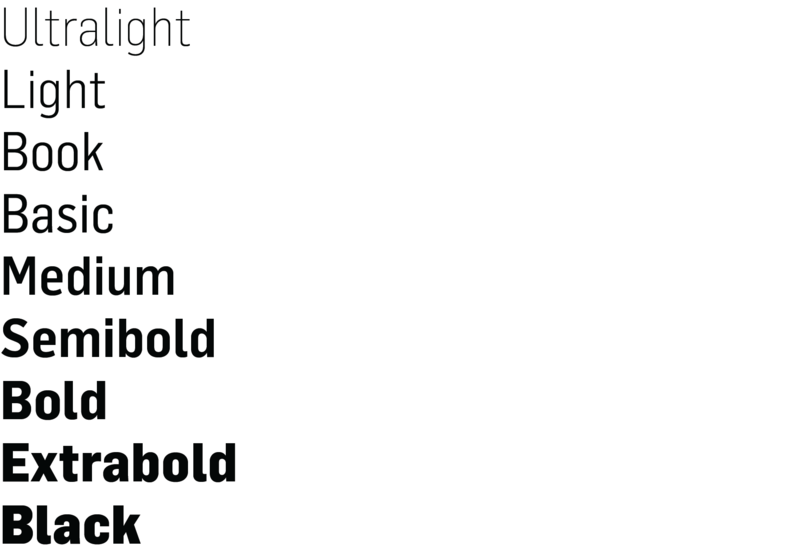 Flama was initally released with 5 weights in roman and italic, and is now 45 styles across 4 widths, including Thin weights which were commissioned by Black Book magazine. With its ‘neutral’ flavour, Flama proves to be highly efficient for signage, corporate as well as for editorial design. 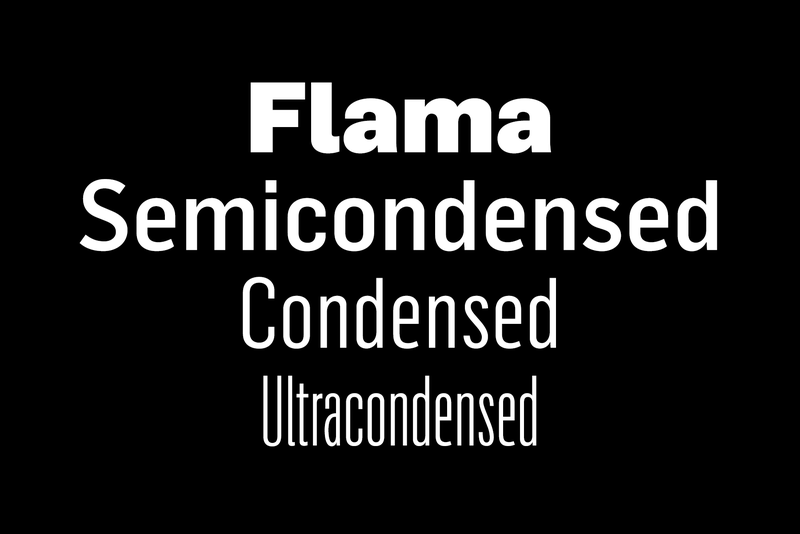 Flama Semicondensed is available in nine weights in Roman only.